In the spring and summer time, we are spending time outside from the house, sitting in the yard with friends and family. We need to decorate our garden in the most creative way and to show our creativity to the people that know us. Today, we will help you with our DIY garden decor ideas that you can make it in your FREE TIME! 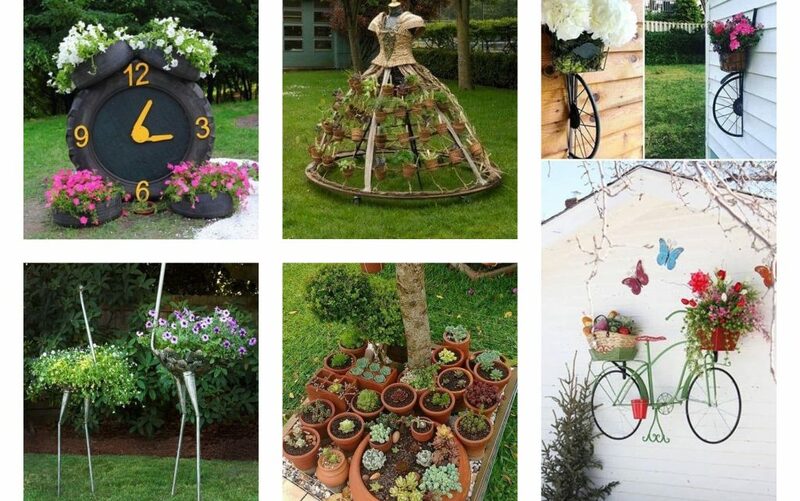 You will see how to reuse the old tires in the yard, how to arrange the flower pots in a creative way, an idea about how to reuse the old bicycles for the best garden decor, DIY! Find motivation now in the photos and learn how to make some of it in garden! 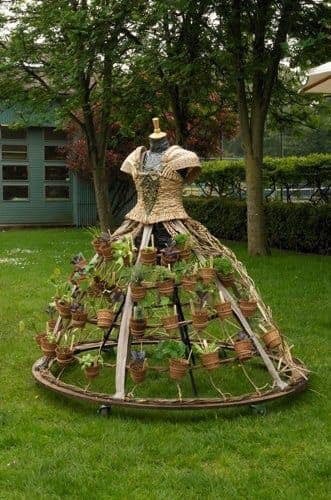 In our first idea you will see how to arrange the flower pots and to make woman’s dress. With this, you can beautify the outdoor place, to show your creativity and to boost your imagination. Tires can be reused in a million ways but we have to show you just one and unique way. 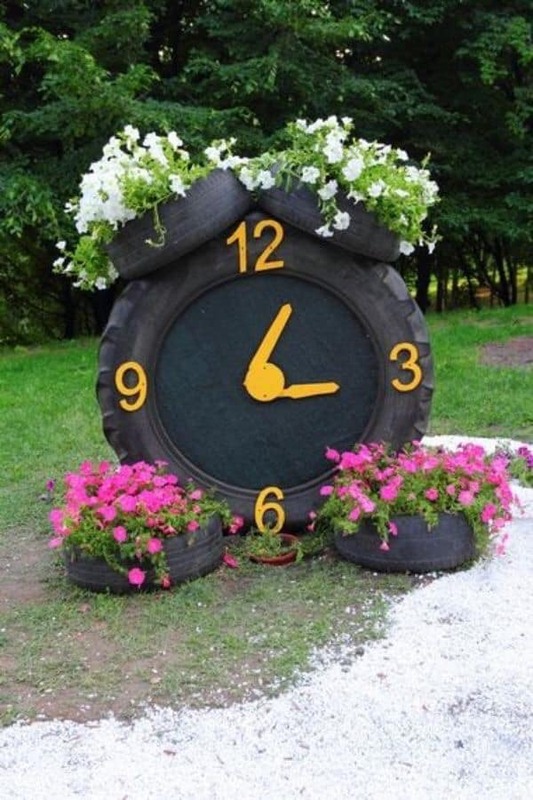 For example, you can make a tire clock for your yard center. 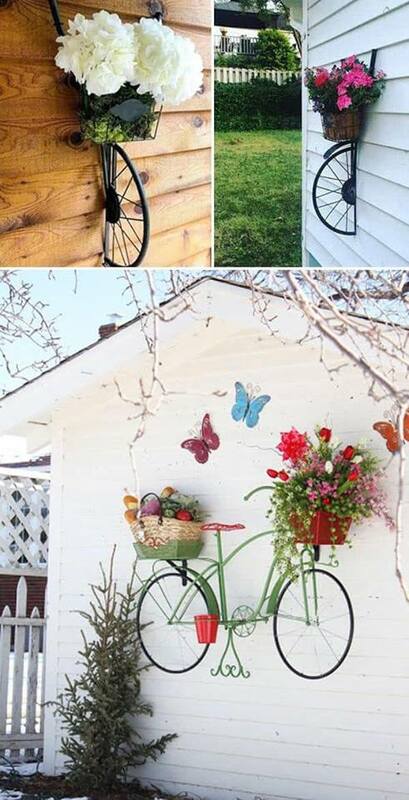 Take a glance in one creative way about how to reuse the old bicycles at home and to hang it on the garden walls. I think that this is one of the most creative way to reuse the old bicycles in garden and not forget them in one corner of the yard. 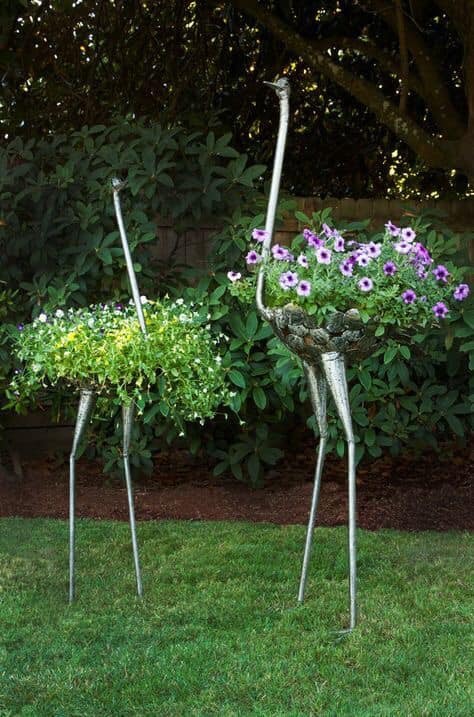 Bring the animals in the garden and if you don’t have any animal, make metal orch planters and decorate the space in coolest way. See this design in the photo now. 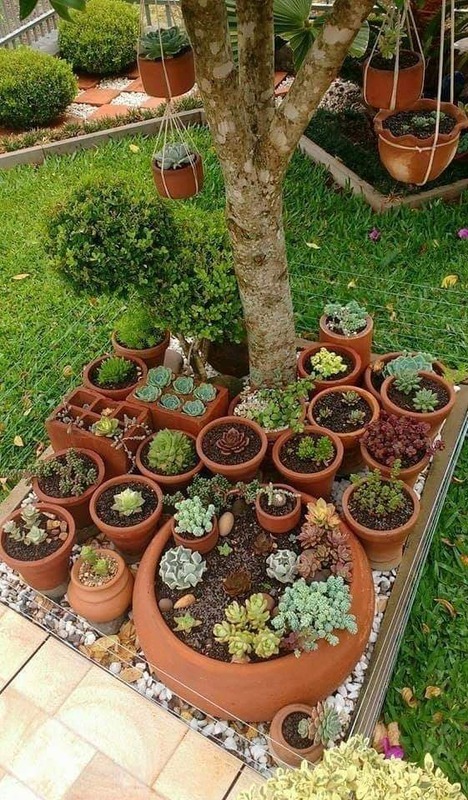 Perfect and excellent way to organize all the flower pots you have in the yard with all those lovely plants and flowers you have there. The most suitable way is to organize it around the tree in garden place and to have good organization and also nice flower bed around the tree. Flower pots aren’t just for planting a flower in it, but it can be also reused for making animals from it. 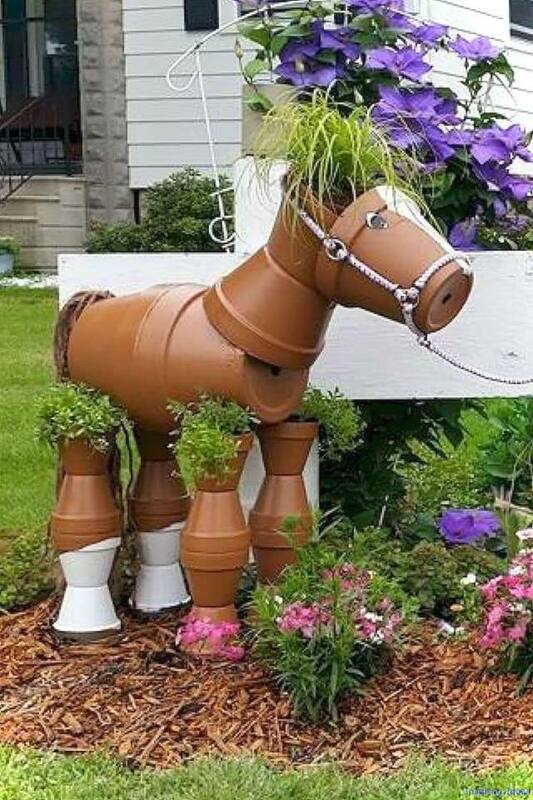 Take a look at this idea and try to make some animal in your yard with our idea and our idea is about how to make flower pots horse, so see the idea. That was the last idea of this post, post that was filled with creative ideas for your garden place. At the end of the post, just thanks so much for your attention and hope that we tried to appeal your attention and to inspire you for making some crafts in your garden place. Thanks and have nice START of the day!